1. Gas Up In Paia, the last substantial town before you get on the road to Hana. Be ready to pay for the most expensive gas in the continental U.S. There are no service stations until you reach Hana. 3. Indulge In Tropical Local Fruit. Along the drive, you’ll find stands selling ono (tasty) banana bread or fresh fruit smoothies. Pineapple-papaya blend, anyone? 4. Stay Dry. It rains on the way to Hana. A lot. Bring a rain poncho or umbrella and a few plastic Ziplocs for your camera and wallet. 5. Stay Safe. When you get out to explore, remember that many areas will be muddy, slippery, steepor heck, all three. 6. Do Dress Down. Tuck a Plumeria flower behind your ear and relax in a sarong or a pair of board shorts. 7. Do Bring A Swimsuit. 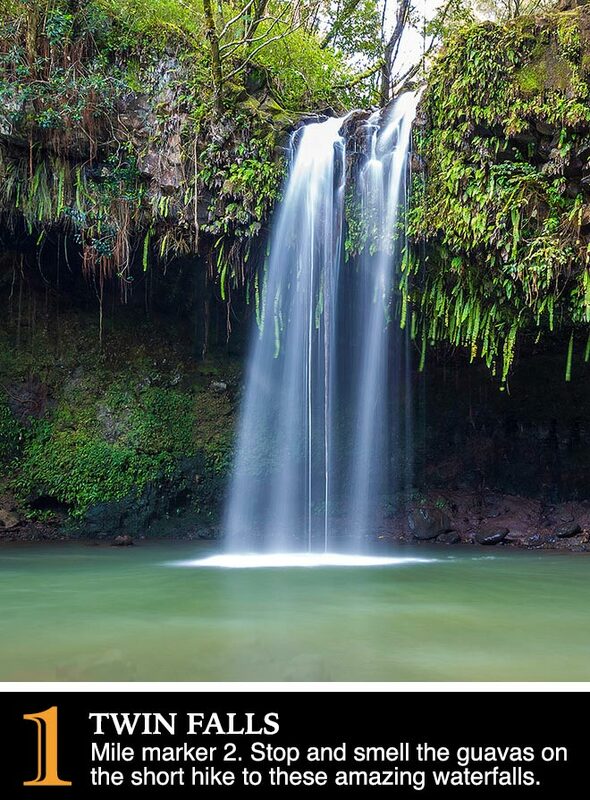 It’s romantic to skinny dip near a waterfall, but the road to Hana is pretty and you probably won’t be alone. Pack a suit and towel. 8. Do Respect Road Conditions. If heavy rainfall or falling rocks make the road hazardous, don’t try to pass. 9. Do Smell The Flowers. Roll down that window and let the muggy air waft in the scent of ginger, ah. 10. Do Believe In Stories. There are some great Hawaiian legends along here. 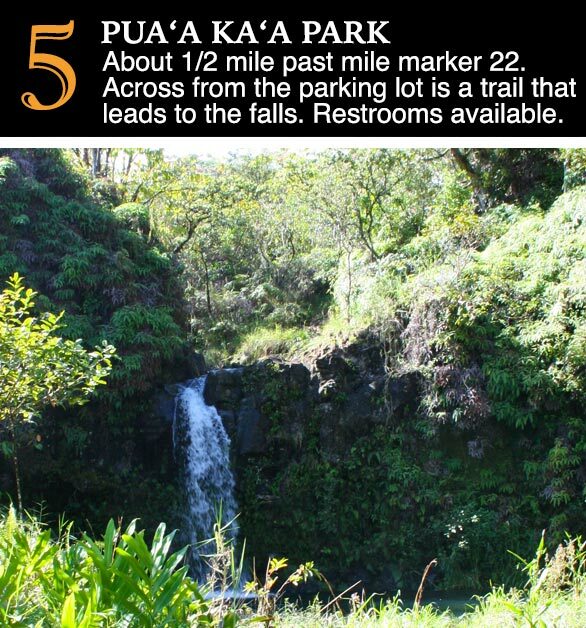 At Waianapanapa State Park, for example, you’ll find a cave where a princess hid from her jealous husband. The pool of water there is red, supposedly, from her blood. 1. Don’t Sleep In. 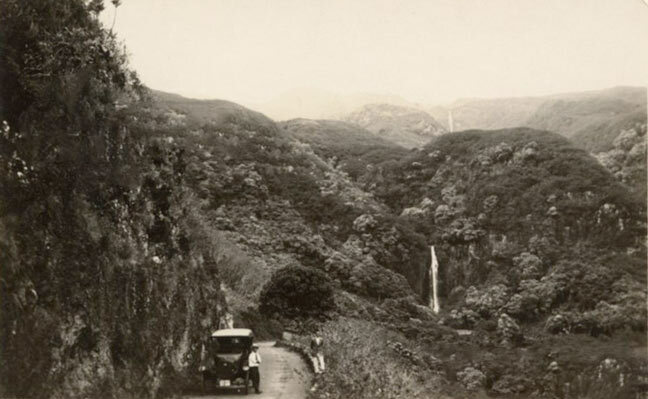 You’ll need a full day to do the Hana Highway properly. It’s a good two to three hours from Kahului to Hana, and that’s just if you drive straight through. 2. Don’t Rush. The drive is not just about the views, but about the places you stop along the way. Dip into a waterfall or check out an ancient temple site. 3. Don’t Bulk Up. Be careful what you eata giant bran muffin or a huge bean burrito may not make for a great road trip, if you know what we’re saying. 4. Don’t Hurl. The road is twisty, so bring some Dramamine, crackers and a ginger ale if you’re likely to get motion sickness. 5. Don’t Hog The Road. Pull off to the side of the road if you have a pile of cars behind you. The locals, after all, have to go to work. 6. Don’t Steal The Fruit. Buying fruit from an “honor-system” stand? Wonderful picking papayas off a tree? Not as nice, and you’re probably on private property. 7. Don’t Drink The Water. The streams, waterfalls and pools are pretty, but the water isn’t safe to drink. Stick to the bottled water you brought with you. 8. Don’t Build Ahu. Rock piles (ahu) are considered sacred, and casual use of the idea is frowned upon. 9. Don’t Drown. 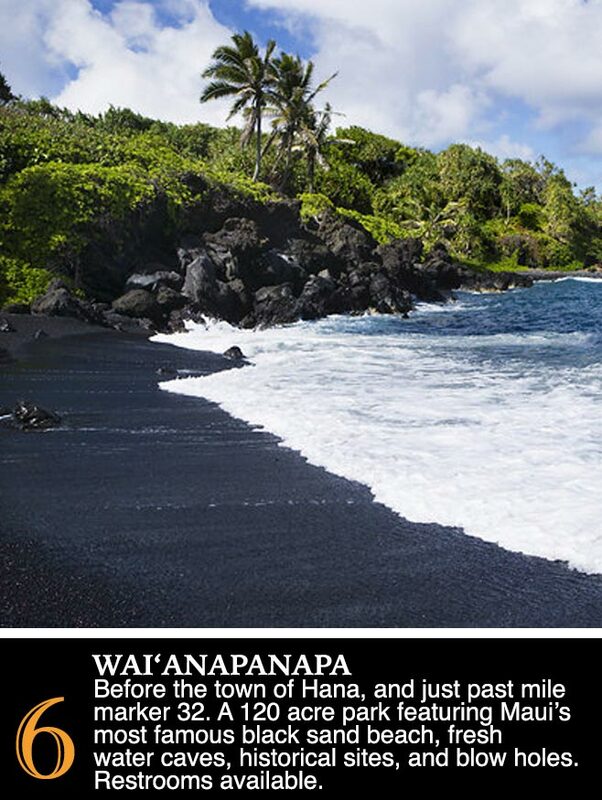 You’ll come across many beaches on the road to Hana. Be extremely careful if you go swimming; the currents are notoriously strong and dangerous. 10. Don’t Expect A City. Hana is a small, sleepy, laid-back town. If you think the clouds will part when you arrive, you’ll be disappointed, but if you explore and enjoy, you’ll truly have made the historic journey to Hana. 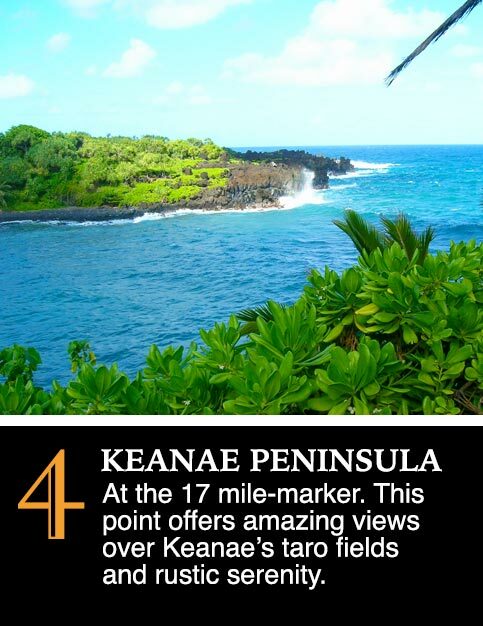 From the beginning of our Top Ten "Road to Hana".